‘Someday we expect that computers will be able to keep us informed about the news. People have imagined being able to ask their home computers questions such as "What’s going on in the world?"…’. Originally published in 1984, this book is a fascinating look at the world of memory and computers before the internet became the mainstream phenomenon it is today. It looks at the early development of a computer system that could keep us informed in a way that we now take for granted. Presenting a theory of remembering, based on human information processing, it begins to address many of the hard problems implicated in the quest to make computers remember. 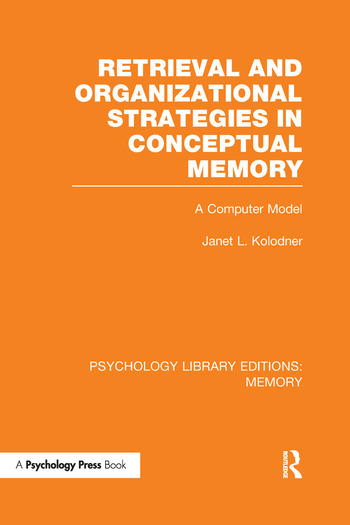 The book had two purposes in presenting this theory of remembering. First, to be used in implementing intelligent computer systems, including fact retrieval systems and intelligent systems in general. Any intelligent program needs to use and store and use a great deal of knowledge. The strategies and structures in the book were designed to be used for that purpose. Second, the theory attempts to explain how people’s memories work and makes predictions about the organization of human memory. Preface. Part 1: Introduction 1. The Nature of a Long-term Memory for Events 2. Background and Motivation Part 2: Retrieval Strategies 3. Traversal and Elaboration 4. Instantiation Strategies 5. Choosing a Context for Search 6. Alternate-Context Search Part 3: Maintaining Memory Organization 7. Automatic Index Selection 8. Generalization and Memory Reorganization Part 4: State of the Program, State of the Art 9. How CYRUS Works 10. Discussion, Perspective, Conclusions. References. Author Index. Subject Index.